I had lofty goals for 2016. I was feeling good and felt like I was on track to hit those goals come June. And then I tore my hamstring and everything kinda fell apart. I lost my focus and my mojo for a while. At the time I was devastated. But looking back I feel like that might have been a blessing. Work was incredibly busy at that point, we were getting ready to renovate our basement in order to sell our house. The pace of life was getting to a point where something had to give and that something ended up being my training. Tremblant came and went. Just before we headed to Tremblant, we listed our house. Two weeks later it was sold and the hunt was on. Normally our summer weekends would be taken up with racing but instead we spent them house hunting. It was a busy summer to say the least. But it was also a pressure free summer. As much as I enjoy racing, there is a certain amount of pressure that comes with that. It's pressure that I put on myself to perform. My first goal is to have fun and my second goal is to get on the podium. 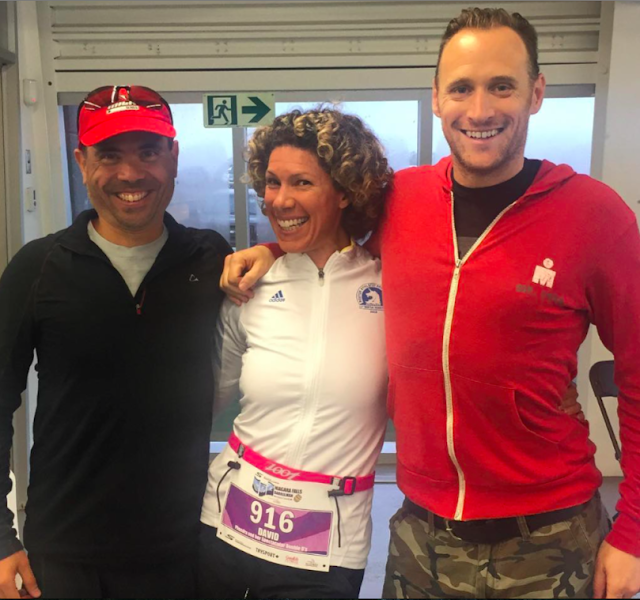 Once I stopped running, the desire to race kind of took a back seat. Probably because the run is my favourite part of a triathlon. When I can't run, I turn to other forms of cardio activity to keep me active. Not being able to be on two feet, resulted in me turning to my two wheels more often. Once I was able to start riding again, I ditched the power meter and just rode. I paid no attention to heart rate other than to look at it post ride to see how long it would take me to recover from the workout. I put in some good time on two wheels this summer. 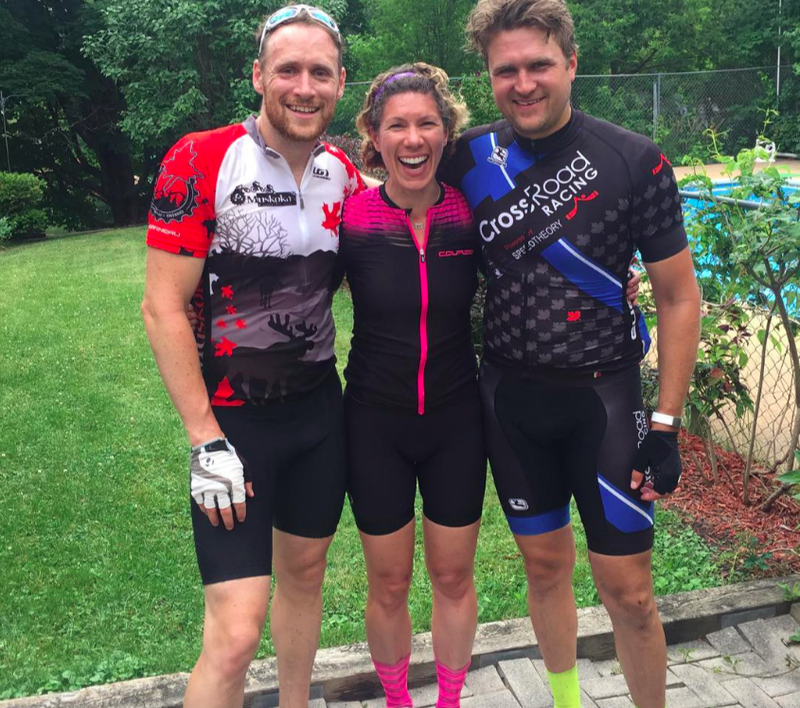 I think the highlight of 2016 for me was the 250km ride I did with my friends Jordan and David at the beginning of July. We rode from Toronto to David's parent's place in Huntsville. I was so nervous the night before. Even more so than before a race! But I had so much fun. I was totally ill prepared to ride that distance but I did it, thanks to these two. We also sold our house the weekend we were up there, ha ha. So that was a pretty good weekend! 2016 wasn't a total write off in terms of races. I did three, which is a far cry from my usual 12-14. But that's ok. The three I did were a blast. 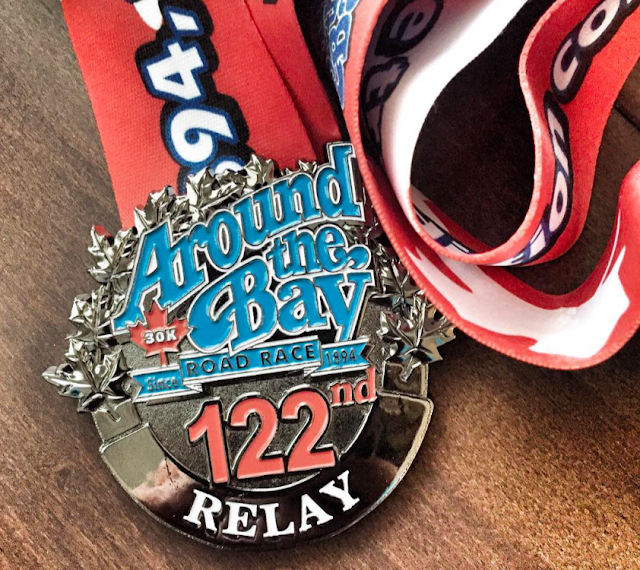 In March, I did the back half of Around the Bay as a part of a relay team with my friend Kiki. We ended up in 4th, missing 3rd place by 30s, ha ha. September was my busy race month. 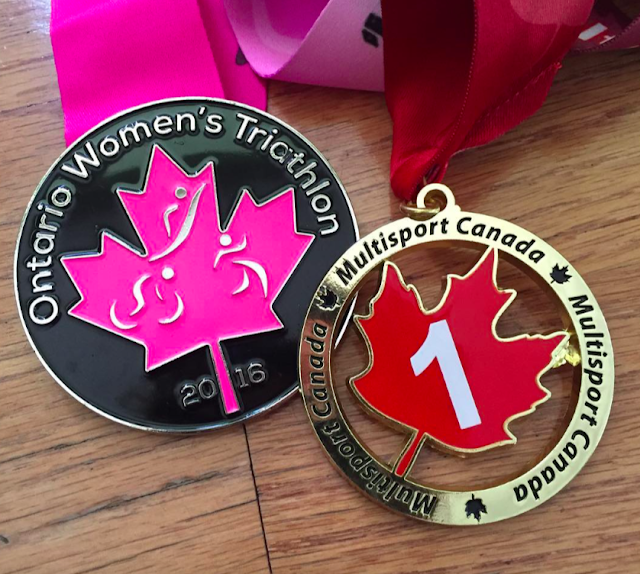 I did the swim / bike at the Ontario Women's Triathlon in Georgina, which was so much fun. It showed me that all my cycling had paid off. I set a new power record and I won the overall race. And I got to spend the day with some awesome ladies. Still one of my favourite pics of 2016! 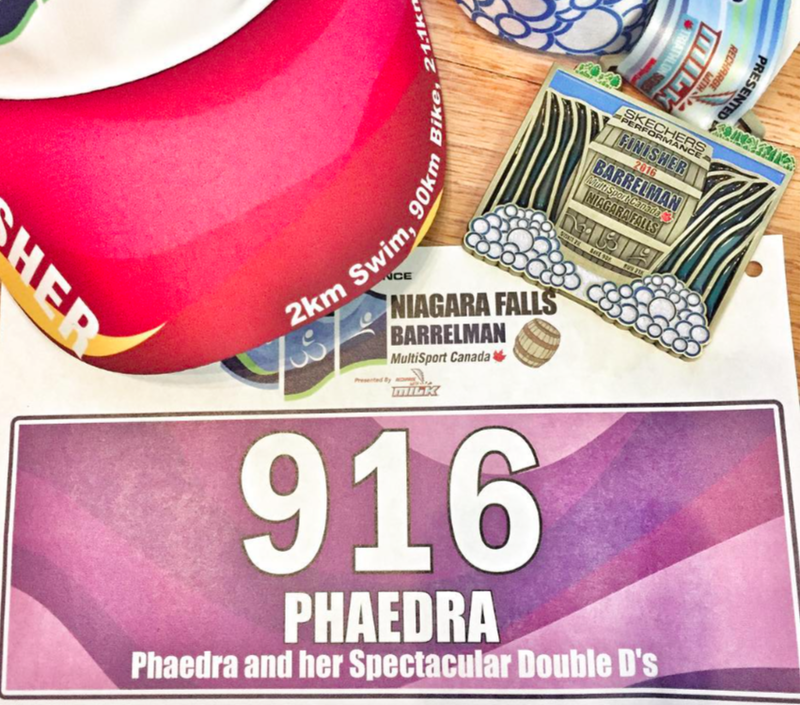 Two weeks later, I was the swimmer in a relay team at the Barrelman Triathlon. I was racing with my friends David B and David L. The double D's. So of course, we went there, ha ha. 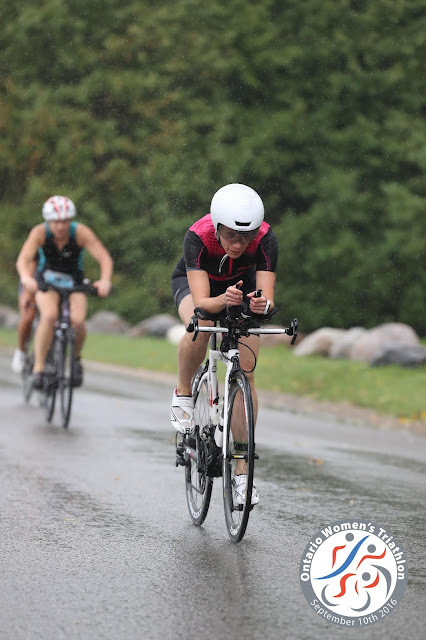 This race was a turning point for me in my open water swimming. It was the first time I made it through a race completely calm. No panic attack, nothing. That was a huge win for me. I'm going to carry that with me into 2017 for sure. Athletically this year was totally not what I hoped for. But all the setbacks and side steps paved the way for some major life changes. We sold our forever home and moved out of the neighbourhood we loved. The biggest change came when I quit my job as a commercial photography producer to focus on building my coaching business and getting involved in the fitness industry. It's a complete 360. It was a huge leap of faith but the time was right. I couldn't see myself producing at 50. I just couldn't. So it was time to move on and follow my heart. I'm looking forward to learning, growing and evolving as a coach and athlete. I'm pumped for 2017 for that reason alone! Of course I have a few adventures lined up for 2017 but I'll save those for another post. Thanks for reading, even though these last few months haven't been the most exciting, ha ha. Wishing you a happy and healthy 2017!